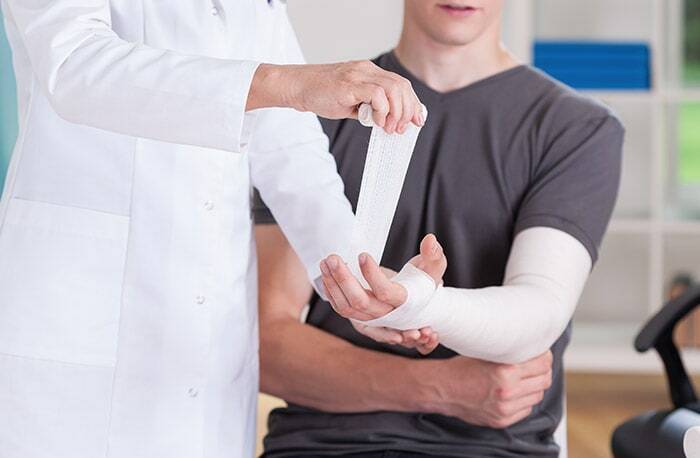 We offer treatment and care for bone fractures, as well as a team of orthopedic experts in reconstruction. If you’ve had a sports injury, broken a bone or needed reconstructive surgery, our team of experts at Wake Orthopaedics can help. For more than a decade, we have been offering superior orthopedic care to patients across Raleigh, NC, providing treatment and surgery for a variety of orthopedic needs. From rib fracture care to reconstruction, we have a specialty in caring for bones and helping patients heal quickly and effectively. Our team of orthopedic specialists are experts in their field and each has a specialty in orthopedic care, offering progressive treatment for fractures and more. We can assess your fracture and recommend a treatment plan that will encompass all of your specialized orthopedic needs. Through therapy and reconstructive surgery in Raleigh and the surroudning areas, we can help bone fractures heal, restoring patients to their previous mobility and greatly improving their quality of life. At Wake Orthopaedics, we strive to offer cutting-edge orthopedic care that doesn’t neglect our patient’s physical and emotional needs. Our staff is made up of friendly doctors, therapy assistants and others who are passionate about helping patients move forward in their healing process. To start experiencing our comprehensive orthopedic services, simply request an appointment at one of our five locations by filling out the form to the right of this page. You can depend on Wake Orthopaedics for unmatched fracture care and reconstruction in Raleigh and the surrounding areas. Wake Orthopaedics offers comprehensive orthopedic care, including fracture care and reconstructive surgery, in Raleigh, North Raleigh, Cary, Garner & Brier Creek, NC.